The Visitor Info Centre is located at 432 Cardena Road 'The Cottage' - the first right as you arrive off the ferry. The Only Nationwide mobile directory of businesses owned by local Chamber members, reliable and trusted business owners. 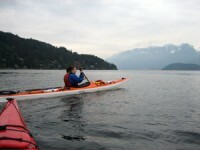 Now available live for Bowen Island Chamber of Commerce.